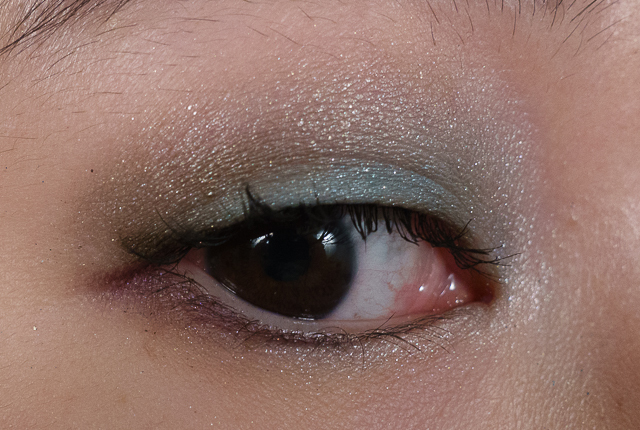 so it seems like i’m on a roll with eye palettes lately. this is the second one i’ve picked up that’s become an instant favorite! the flaws are very few and the range of colors are my personal favorite combinations. even more unusual for me, the pinks in this palette are ones that both visually appeal to me and actually work with my skintones! Light Pink. what this looks like depends on your lighting. i’ve seen it go from a cool frosty pink to a more mute pink with beige tones. Brown. 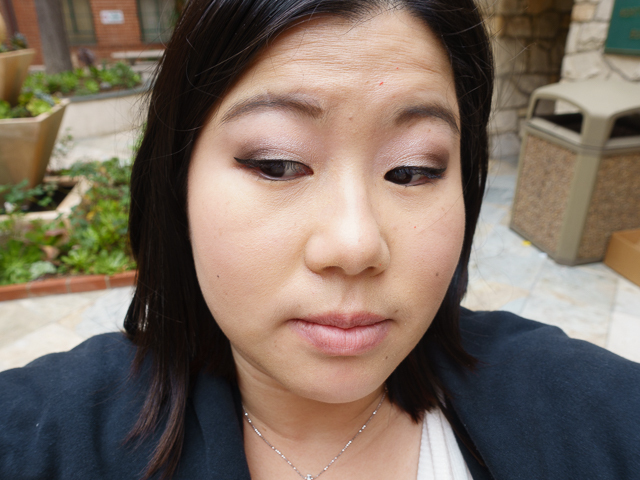 this is a medium dark shade that’s not too warm. Dark Pink. this is a more intense pink that’s sparklier and has a bit of brown in it, lending it a warmer tone. Purple. 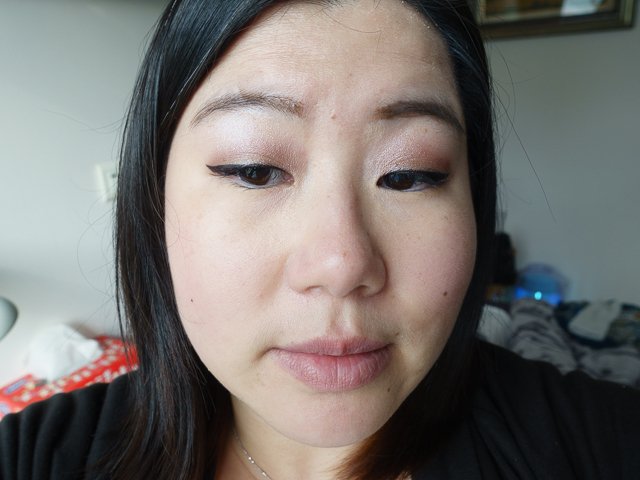 upon first application, this is a satisfying shade of cool toned purple. 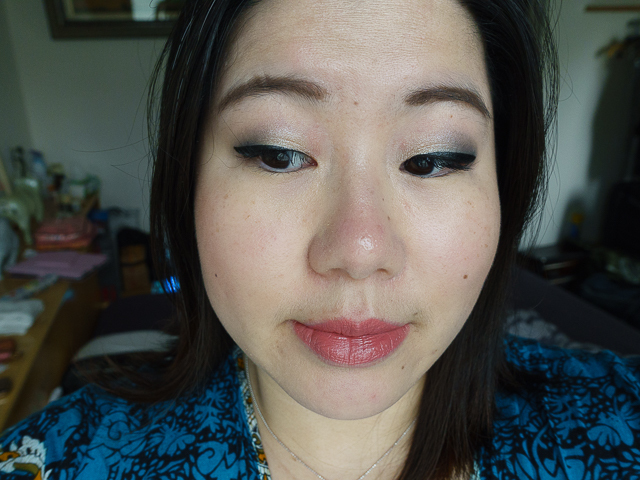 sadly, it’s not as pigmented as other shades and has a tendency to sheer out when blended. it is a serviceable shade though. Sage Green. of course, no favorite palette of mine can be without a green. 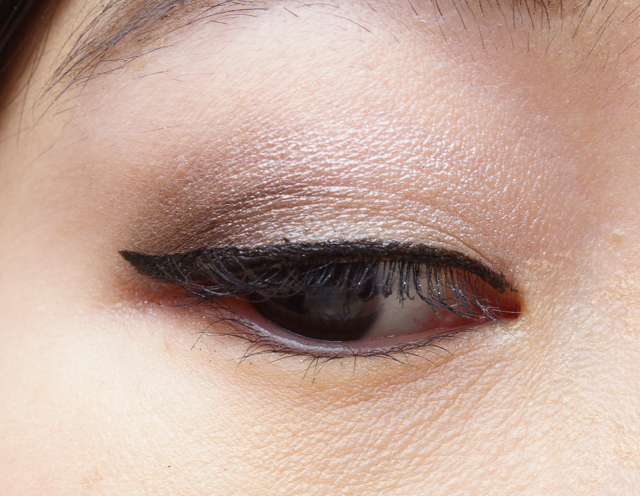 the shade they’ve chosen here works well both as a single color smokey look or as a crease/outer v color for the lighter colors, for a natural day look. Turquoise. a bright medium shade turquoise. Hunter Green. 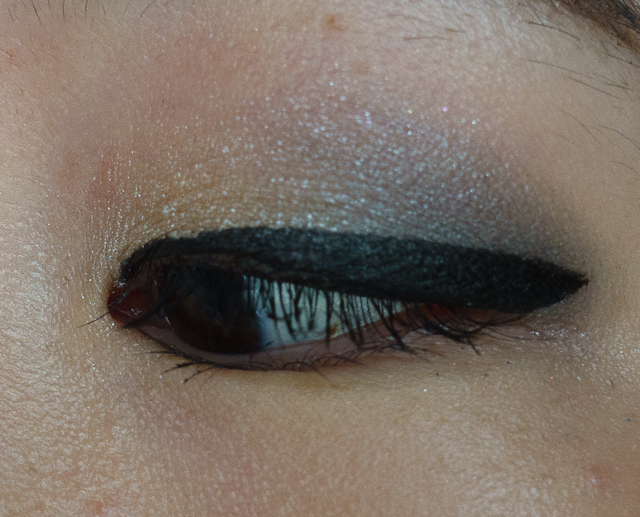 this is a dark smokey hunter green with green sparkles running through it. overall, i really love this palette. 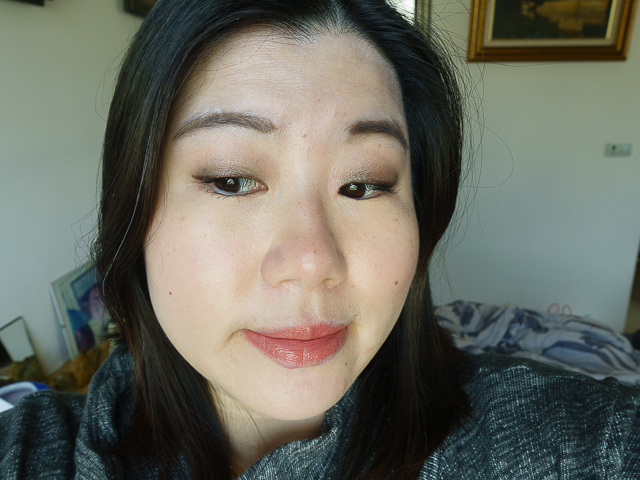 i can create the rosy neutral looks that i’ve always lusted over in Urban Decay’s Naked 3 palette. i have colorful pops of color. 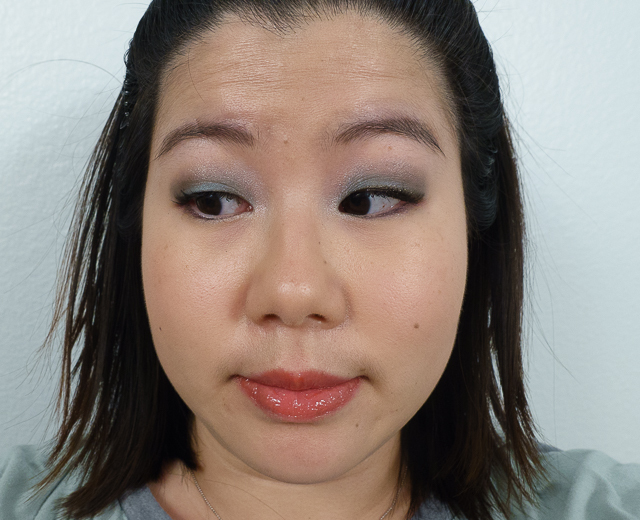 there are two fairly neutral greens, which is my favorite way of creating a neutral look. the only thing i would change about it is switching out that white highlighter for a matte highlighter shade. it’s small and compact but has a good size mirror. the mirror has a stiff hinge, so you can angle it however you need. this might be my favorite travel palette to date. all i’d need is to pack a matte single for highlight, and i’m set for shadows. it’s a palette i constantly reach for. 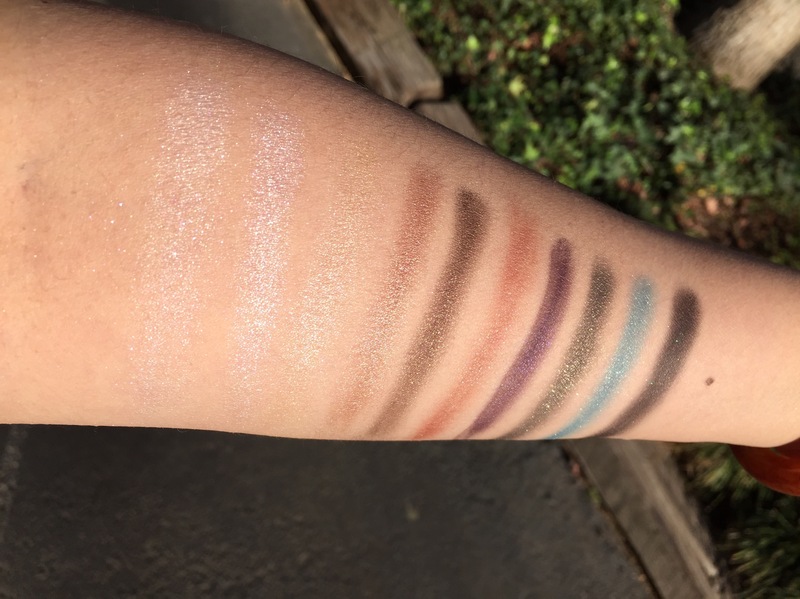 i like how the shadows work well together in different combinations or how most shades can double as an all over shade if i just want a quick look. for just $24, this palette may be the best bargain in my stash! 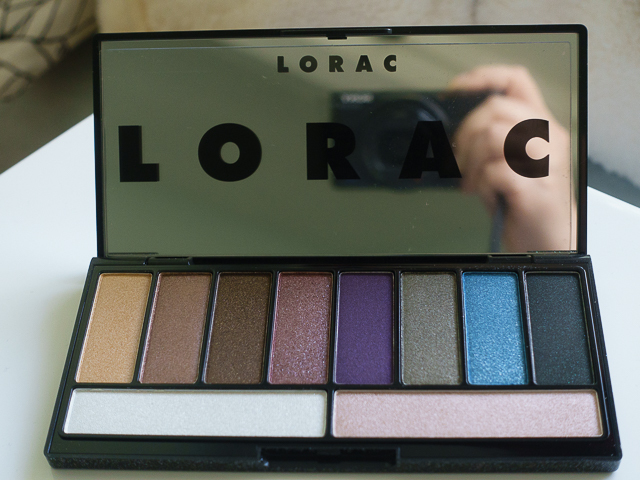 Readers, what do you think of Lorac’s Party Palette? how do you like to wear your favorite neutral look? You’ve really been on a palette kick! You wear shimmer really well as well. For some reason, if I go all shimmery, it could look way over the top! I like the neutral as well as colorful looks you created with the palette. For 24 bucks, you’re right about it being a bargain! thanks, Sunny! I like you in shimmery looks too! I think you might be overly critical of yourself. palettes are my addiction. I’m always looking for that perfect combination of colors to travel with. it doesn’t even make sense since most years I only travel once per year.